Walla Walla, Wash.—Auctions have long been a part of the wine business, but in the growing wine regions of the Northwest they’ve become a way to raise funds to support industry growth. While long-standing events such Auction Napa Valley raise funds in support of charities, two new events—by the Walla Walla Valley Wine Alliance and Willamette Valley Wineries Association—launched last year raise funds that will flow back into promoting the two regions. The late Duane Wollmuth, former executive director of the Walla Walla Valley Wine Alliance, laid the groundwork for Reveal Walla Walla, which raised $86,500 for the region’s winery association in 2016 and a further $88,300 this year. David Adelsheim, co-chair of the Willamette Valley Wineries Association’s Pinot Noir Barrel Auction, echoed Unwin’s comments. While the Willamette Valley Wineries Association has double the membership of Walla Walla’s association, like most 501(c)(6) organizations it has the same reliance on membership dues (as well as event fees and grants) for revenue purposes. Without significant, dependable sources of additional funding, many trade organizations lack the staff and financial resources required to fulfil their mandate. “Most of the wineries are barely breaking even, so the thought of doubling their dues in order to pay for marketing doesn’t have a lot of appeal and would probably result in everybody quitting the organization rather than raising any money,” Adelsheim told Wines & Vines. 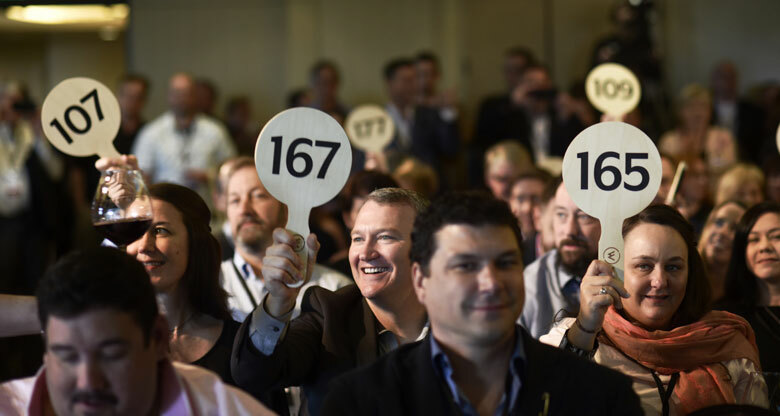 The success of Napa Valley Vintners’ long-running trade auction, Premiere Napa Valley, which raises more than $5 million each year and covers approximately half the association's annual budget, gave the Willamette Valley wineries and others an idea. “All of us, somewhat independently, realized we were missing an opportunity to raise the money to do the marketing that we believe is critically important,” Adelsheim said, noting that Sonoma County Vintners launched its spring barrel auction in 2015. Wineries in the Walla Walla and Willamette valleys followed a year later. The inaugural Willamette Pinot Noir Barrel Auction last year raised $476,000, with a further $472,000 raised in this year’s event April 1. The funds have been enough to nearly double the association’s annual budget. The funds are supporting a merger of Oregon Pinot Camp with the Willamette Valley Wineries Association, and promise to support the marketing many observers have told the industry it needs to do to broaden awareness and sales. It’s “to allow the Willamette Valley Wineries to become a much more professional organization, and most importantly to undertake a long planned but also long-delayed initiative to market Willamette Valley Pinot to younger people who might not already have known about it,” Adelsheim said. Unwin has similar visions for the funding and exposure Reveal Walla Walla garners, with a particular focus for her being media and trade tours that give them a taste of the region’s multiple facets and the wines it produces. Walla Walla includes the Rocks District of Milton-Freewater on the Oregon side of the valley that many consider the most terroir-driven viticultural area in the country.